Have you ever thought about how dreams are responsible for some major creative and scientific discoveries. There are 5 incident that gave rise to some important and remarkable discoveries. 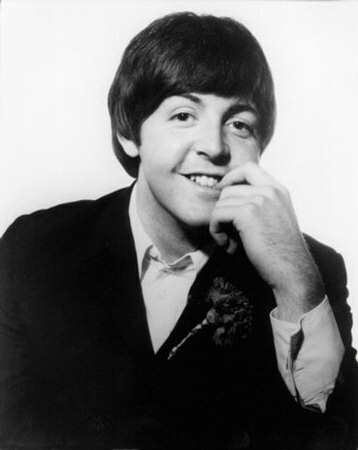 In 1965, Paul McCartney composed the entire melody for the hit acoustic song in a dream. When he woke up he fully formed it and he quickly replicated the song on his piano. He asked his friends and family if they had ever heard this song before. Initially he was worried about the problem of cryptomnesia (simply replicating someone others work). Lennon and McCartney then wrote lyrics to the melody and the song was credited to Lennon-McCartney on their album. His song was released in America and stayed at number one on the Billboard Hot 100 chart for four weeks. It remains massively popular today with more than 2,200 cover versions by other artists including Katy Perry, Aretha Franklin, the Papas, Michael Bolton,The Mamas, Bob Dylan, Billy Dean, Ray Charles and others. In 1816, the story of Frankenstein, often cited as the world's first science fiction novel, was inspired by a vivid nightmare. When Shalley was 18 years old she visited Lord Byron by Lake Geneva in Switzerland. They were locked in a cold volcanic eruption of Mount Tambora, creating Europe's year without a summer. They ware stuck indoor and huddled around a log fire.Suddenly Byron suggested that they each must write a ghost story but Shelley was unable to think of anything suitable. Then one evening, when they started disscussing about the nature of life, Shelley suggested perhaps a corpse could be re-animated backed by the thought that galvanism had given token of such things. Niels Bohr, the father of quantum mechanics often spoke of the inspirational dream that led to his discovery of the structure of the atom. He set upon understanding the structure of the atom, but none of his configurations would fit. One night he went to sleep, he began dreaming about atoms. He saw the nucleus of the atom, with electrons spinning around it. It was same as planets revolve around the sun. He tried to shape the dream immediately after waking up. Bohr felt the vision was accurate, but he must have to prove his idea before announcing it to the world. He returned to his lab and searched for evidence to support his theory.He found evidences and his vision of atomic structure turned out to be one of the greatest breakthroughs of his day. Bohr was later awarded a Nobel Prize for Physics as a result of this leap in creative thinking while asleep. Einstein was sledding down a steep mountainside, going so fast that he eventually approached the speed of light. In his dream the stars changed their appearance in relation to him. He awoke and meditated on this idea, soon he formulated the most famous scientific theories in the history of mankind. The mathematical genius, Srinivasa Ramanujan made contributions to analytical theory of numbers, continued fractions, and infinite series, elliptical functions , and proved more than 3000 mathematical theorems throughout his life. Ramanujan said that in his lifetime, he repeatedly dreamed of a Hindu goddess known as Namakkal. She presented him with complex mathematical formulas over and over. He then test and prove that after waking. Which Lennon-McCartney song is no. 1 about?